Laid down, 12 November 1942, at Bethlehem Steel Co., Quincy, MA. Decommissioned, 29 May 1945 at Baltimore, MD. Start of conversion to a Landing Craft Repair Ship, 30 May 1945, at Maryland Drydock Co., Baltimore, MD. 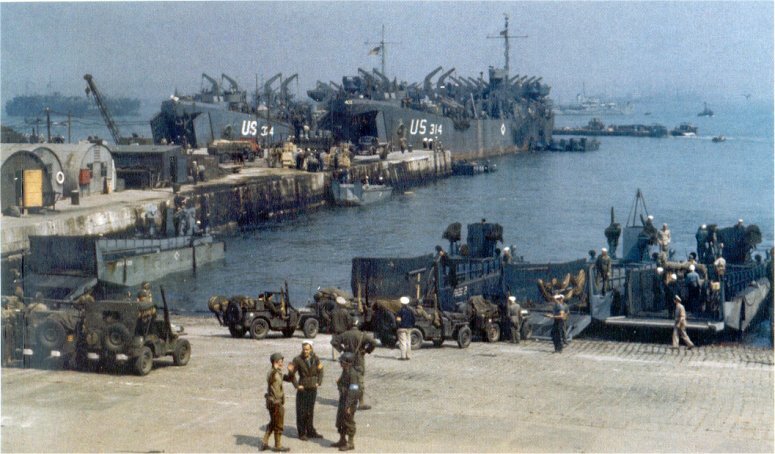 88k USS LST-374 and USS LST-314 loading supplies at an English port in preparation for the Invasion of Normandy, early June 1944. 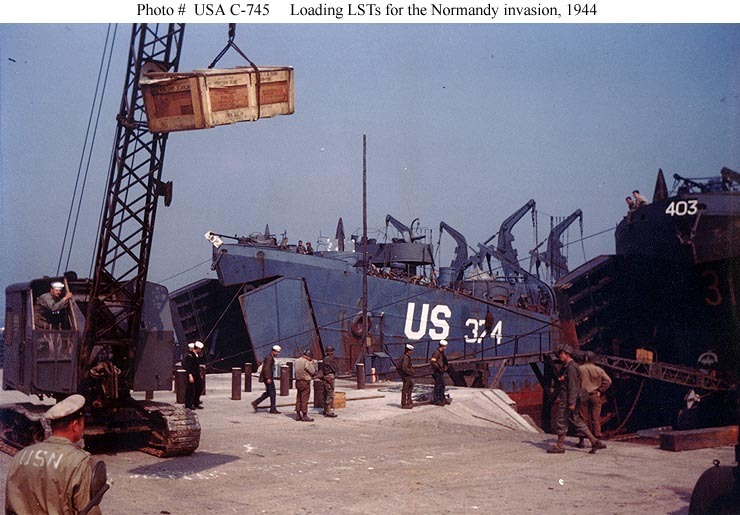 USS LST-314 was sunk by German motor torpedo boats, 9 June 1944. The numbers at the peaks of the LST bows are apparently berth numbers. 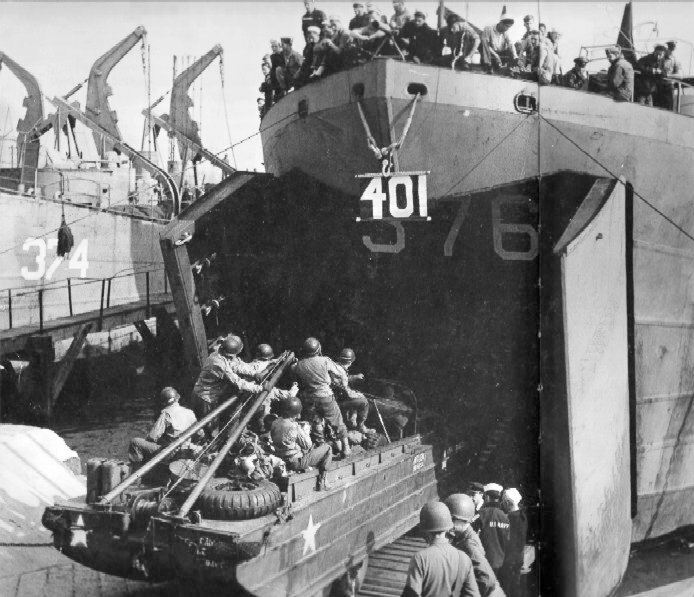 87k USS LST-374 and USS LST-314 loading supplies at an English port in preparation for the Invasion of Normandy, early June 1944. US Naval Institute photo. Joe Radigan MACM USN Ret.